Having worked with a number of web agencies in the past in an attempt to produce an e-commerce website that reflected their business they had become disillusioned and as a result they were without a functioning online presence. D J Massey & Sons were recommended our services by a common client we’d recently delivered design, marketing and digital solutions for. 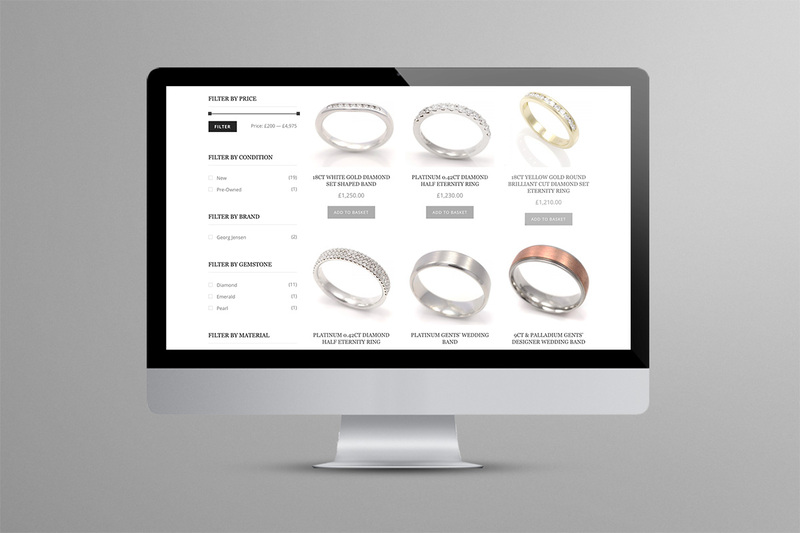 As a result we were invited to propose a solution that was aligned with the recent and extensive refurbishments of their retail outlets and competed favourably with other larger online jewellers. 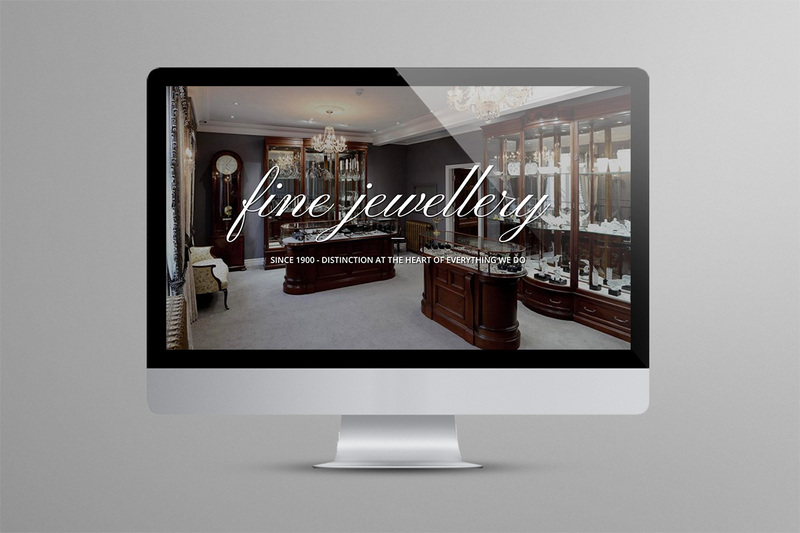 The website was required to be classical but not old fashioned, at the same time it wasn’t to look too contemporary or like a fashion/dress jewellers outlet. It needed to reflect the quality, products, bespoke services and knowledge of a business and produce increased sales. 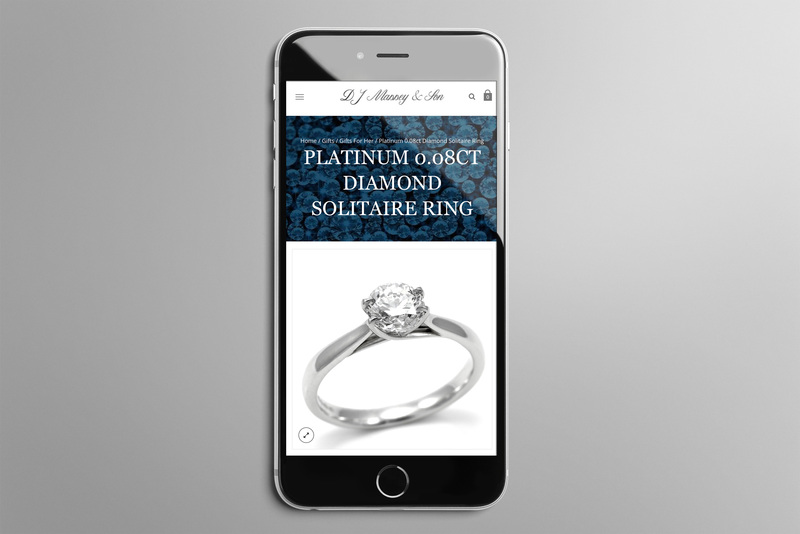 The site needed to be easy to maintain and update, provide details of their ranges and services as well as provide cross-selling opportunities. It was required to be clean and easy to browse with the ability to locate suitable products by various browse options e.g. gender, category, range, price, brand etc. We were also required to support the business by writing articles and customer guides, help and tips to improve customer experience and help with SEO. 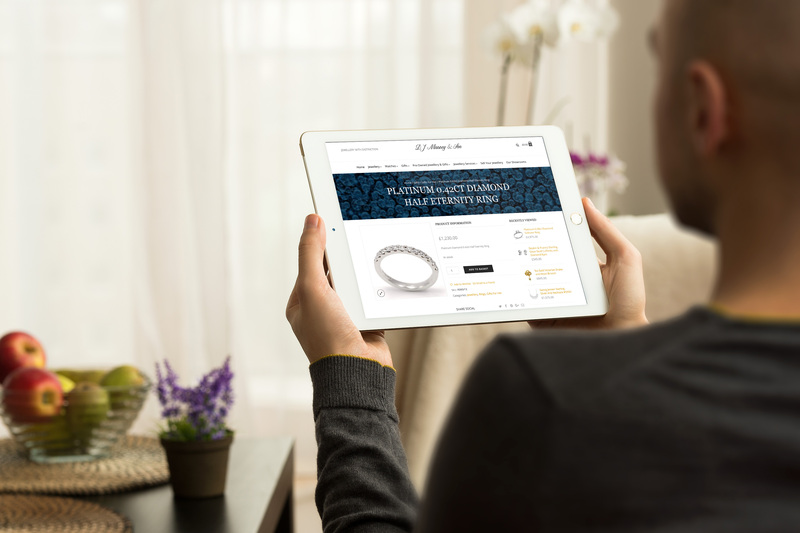 Following research of leading high-end brands we created a clean and classical solution using the WordPress platform, alongside the powerful WooCommerce e-commerce system with PayPal integration. This system incorporates the site management, product database, shop management and stock control in one easy to use Content Management System. 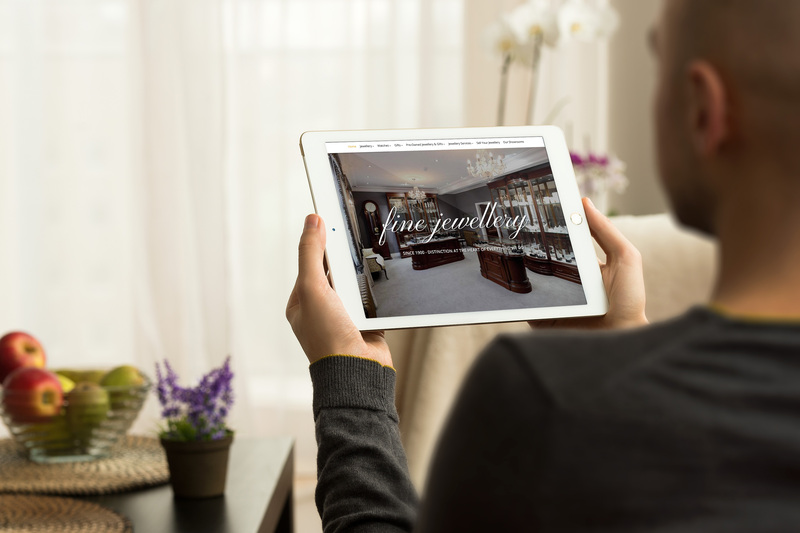 The website set the business head and shoulders ahead of the local and direct competition, whilst competing favourably with the largest national brands. 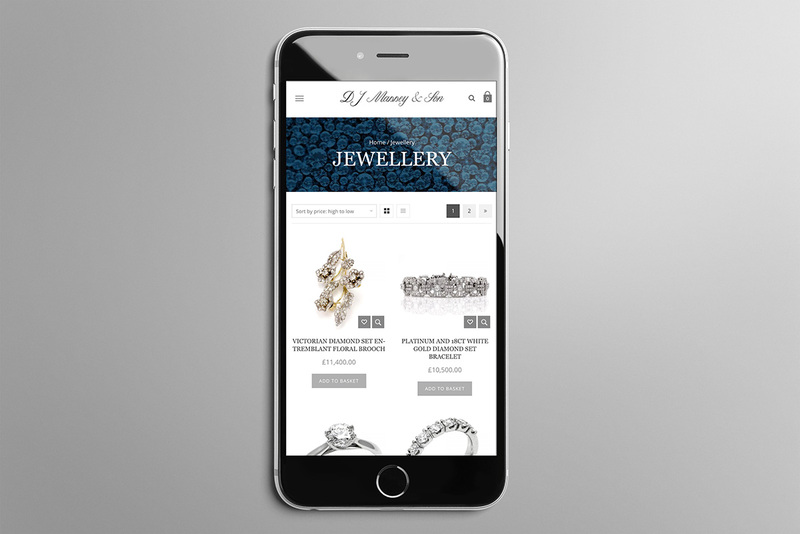 The team at D J Massey have the ability to manage the content of the site, stock levels, add or remove products, adjust prices, receive orders and payments, track all orders and shipments…and all of this with only a few hours of training! As we’ve been told “third time lucky!” we think this is a soft but polite positive response to restoring the faith previously lost. Since launch there has been an uplift in enquiries and sales reaching much further afield than D J Massey & Son’s immediate catchment areas. As a result of these successes we are looking at extending the marketing activities to direct mail and other digital marketing.